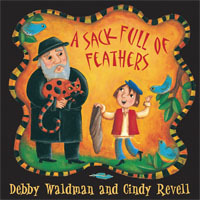 Biography: Cindy Revell has three previous picture books with Orca: Clever Rachel, Room Enough for Daisy and A Sack Full of Feathers. In 2001 Cindy was nominated for a Governor General's award for children's book illustration. She lives in Edmonton, Alberta. For more information, visit www.cindyrevell.com. Follow her on Twitter @cindyrev.